This Tegra-powered ICD tablet shows a full 1080p HD Internet experience on a 4G wireless network at 2010 CES. LAS VEGAS, NV--(Marketwire - January 7, 2010) - 2010 INTERNATIONAL CONSUMER ELECTRONICS SHOW (South Hall 4 - Booth #35912) -- NVIDIA and the Verizon Wireless LTE Innovation Center said today they are demonstrating a full 1080p HD Internet experience on touchscreen tablets. 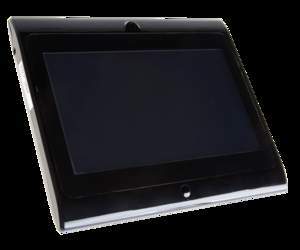 The demonstration -- on an NVIDIA Tegra-powered Ultra tablet, designed by Innovative Converged Devices (ICD) utilizing the ultra-broad bandwidth of a Motorola 4G wireless modem, operating over a pre-commercial Verizon Wireless LTE network -- brings to life the vision of high-speed Internet everywhere. The collaboration was fostered at Verizon Wireless' LTE Innovation Center, which provides an environment for diverse companies to work together in developing innovative products that leverage 4G LTE technology. NVIDIA® Tegra™ mobile processors enable an uncompromised full HD web experience, such as streaming YouTube HD, for hours on a single charge. Verizon Wireless has announced plans to build a 4G LTE network in the United States, with 25 to 30 markets rolling out in 2010. The LTE network will be able to support high-quality, high definition web experiences. Motorola provides the 4G wireless modem and data card to deliver visually rich HD content that consumers expect, away from home and hot-spots. 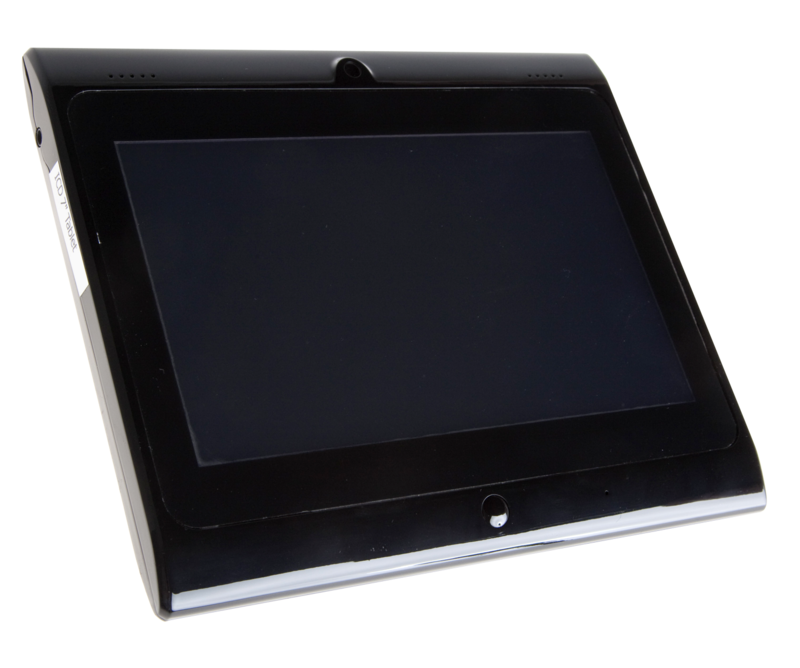 ICD, a Seattle-based engineering and design firm, built the Ultra tablet, working in conjunction with NVIDIA, Verizon and Motorola. "We know consumers want full internet access and we are pleased to be working with NVIDIA in our LTE Innovation Center on a solution that can process full HD content with the battery life of a smartphone." "Verizon Wireless' planned LTE network will deliver what consumers demand -- bandwidth for a full HD web experience. This coupled with our Tegra processor will deliver amazing streaming content, all on the go." Certain statements in this press release including, but not limited to, statements as to: the benefits, features, impact, performance and capabilities of the NVIDIA Tegra mobile processor; are forward-looking statements that are subject to risks and uncertainties that could cause results to be materially different than expectations. Important factors that could cause actual results to differ materially include: development of more efficient or faster technology; design, manufacturing or software defects; the impact of technological development and competition; changes in consumer preferences and demands; customer adoption of different standards or our competitor's products; changes in industry standards and interfaces; unexpected loss of performance of our products or technologies when integrated into systems as well as other factors detailed from time to time in the reports NVIDIA files with the Securities and Exchange Commission including its Form 10-Q for the fiscal period ended October 25, 2009. Copies of reports filed with the SEC are posted on our website and are available from NVIDIA without charge. These forward-looking statements are not guarantees of future performance and speak only as of the date hereof, and, except as required by law, NVIDIA disclaims any obligation to update these forward-looking statements to reflect future events or circumstances. © 2010 NVIDIA Corporation. All rights reserved. NVIDIA, the NVIDIA logo and Tegra are trademarks and/or registered trademarks of NVIDIA Corporation in the U.S. and other countries. Other company and product names may be trademarks of the respective companies with which they are associated. Features, pricing, availability, and specifications are subject to change without notice.